Please join us to learn how your patients can benefit from Mazor Robotics Renaissance™ Guidance System for spine surgery. 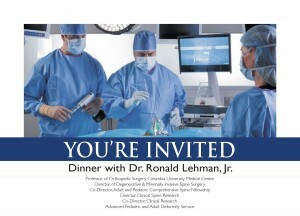 You’re invited to a special dinner presentation by Dr. Ronald Lehman, Jr. of Columbia University Medical Center to discuss the latest in spine surgery treatment. 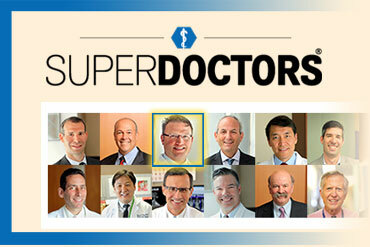 View the invitation PDF. Cocktails and Appetizers 6:30 p.m.
Dinner and Presentation 7 p.m.